So here's the deal: COBINHOOD is on its last breath, about to go belly up. Its token has barely any volume and is at half its ICO price. 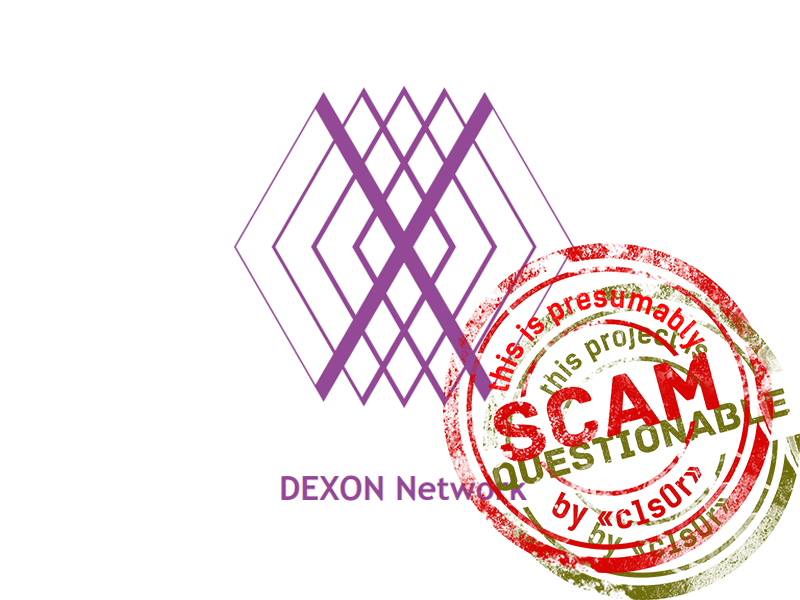 In Q2 of this year, they were planning to launch their Decentralized Exchange Online, but apparently ran out of money and instead launched DEXON. Not only did they do a partnership with IDG for this to the tune of $20M, they also opened a private sale. And for all those who couldn't get into the private sale, they can always just buy COB — admins promise a DEX airdrop to COB holders. Thanks for posting your questions here. Unfortunately, I can only answer questions about consensus algorithm itself. Any thing about fee or governance council or fine should not be answered by me, since those are economic model and not the scope of my work. And some answers for those questions have not been disclosed yet. (1) In your article, there are two pictures saying that DEXON is exactly like hashgraph. The first one is a DAG. But it looks similar because that's how every DAG looks like. If you draw NANO's blocklattice, or other projects that are using DAG, you will found all of them looks similar. Just like every blockchain has similar chain structure, but has different consensus algorithm and mechanism from other project, what makes DEXON unique from hashgraph or NANO is the consensus algorithm we designed, and that makes a huge difference on performance and security level. Anyway, if you have any question about the algorithm itself, or still confusing about how DEXON, NANO and hashgraph are totally different from each other, feel free to ask. (3) p.s. What popo meant is not that hashgraph "did not" handle fail-stop in it's simulation. He meant they simply "can not" handle that because there are some problems in there consensus algorithm. They may be storing the array, but DEXON is using the median of all timestamps — exactly how hashgraph does it. This doesn't follow at all from their messages. Of course, we asked him all our questions. But forget about answers — he didn't even read the questions. Though, realistically, hard to imagine them coming up with any answers that would save them from the verdict. Ситуация такая. COBINHOOD сейчас на последнем издыхании, вот-вот загнется: практически не торгуется и дает от ICO пол икса. Во втором квартале этого года они должны были запилить Decentralized Exchange Online, но видимо деньги уже закончились и они стартанули DEXON. Мало того, что они замутили под него партнерство на $20M с IDG Capital, так еще и открыли private sale. А для всех кто не может залететь на private sale, всегда есть возможность накупить COB, админы говорят, что его владельцам прилетит эйрдроп с DEX. Хранит-то они массив, а вот использует DEXON медиану от всех timestamp, точно так же как это делает hashgraph. Из написанных им сообщений это никак не следует. Ну и конечно мы не постеснялись задать ему вопросы. Про ответы говорить не приходится, потому что вопросы он так и не прочел. Но даже ответы на вопросы их не спасут.